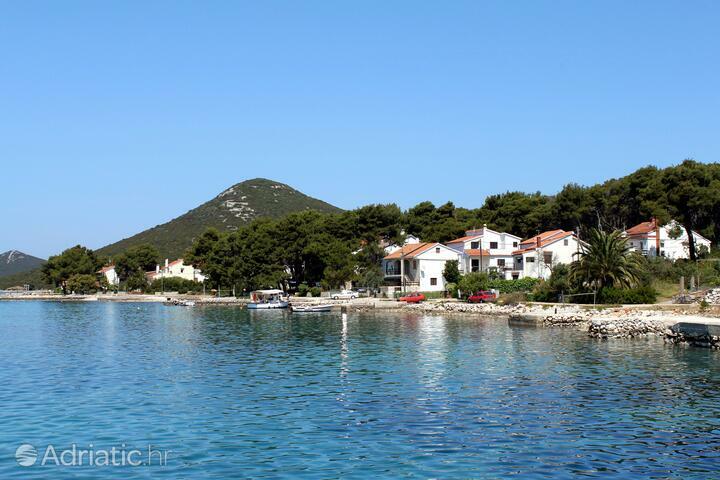 Molat Island, a northern Dalmatia island, gives you a chance to get away from the noise and crowd of city life. Moreover, in its Zapuntel port sailors will find a perfect shelter against all winds. On arriving you'll notice underwater cliffs between Molat and the nearby Ist Island, especially a cliff with a very illustrative name – Skrivalica (The One That Hides). Once you settle yourself you'll discover you're surrounded with a true Mediterranean atmosphere – the peace and serenity of Molat Island is something that can only be found in an untouched nature. Settle yourself in Brgulje village, due to its position a great starting point for any destination on the island or surrounding sea. Nested in the middle of the island resembling an upside-down letter ''V'', Brgulje are very close to the ferry port and only 2 kilometers away from the central village Molat. To reach the center just take a 30-minute walk through a young forest of maritime pine and Mediterranean maquis, and enjoy the splendid view of the surrounding area. Inhabited since the 7th century, Molat Island was an important port during the Venetian Republic, and today is famous for at least two things: its library that holds more than 6,600 members and books, a number far greater than the number of people living on the island, and for having three qualities necessary for a perfect vacation: crystal clear sea, private beaches and seclusion. The low northeastern coast is well indented with numerous coves. Both the locals and guests consider Jazi cove, the biggest one, to be the most beautiful one as well. This favorite bathing area attracts more and more visitors every summer. The steep southwestern coast, its coves, the antique shipwreck and splendid underwater world is best reachable by boat. This 5th biggest island of Zadar archipelago gives you a chance to swim with rays, meet various octopis, take a photo of the red coral site and exceptional underwater scenery. 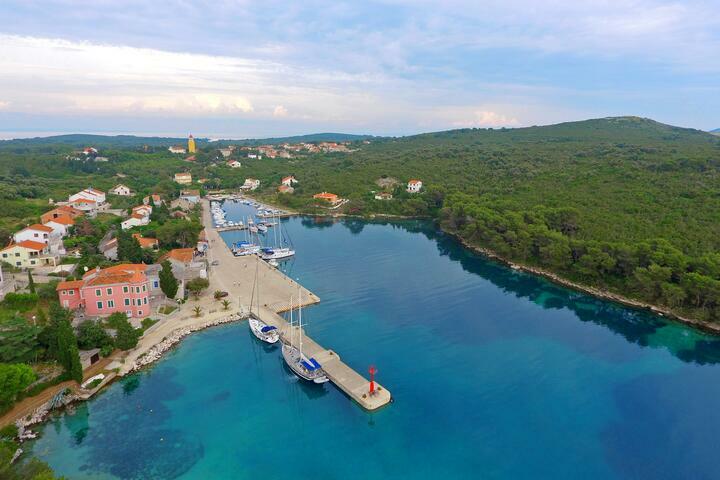 Molat Island is in close proximity of the Kornati islands and very well connected with the city of Zadar – meaning once you're there, there's nothing stopping you to embark on a real adventure. The name of the island derives from the Latin word mel, mellitus, meaning honey, sweet as honey, and it perfectly illustrates the vacation time on Molat Island. Various fun activities in the nature are perfect for sailors, divers, adventurists and all those nature lovers who seek peace, quiet and privacy. In case you want to find out more about local customs, tradition and stories go to Trzno, the central square in Molat where locals gather regularly and tell stories of the times long past. Take a walk along the newly renovated riva (waterfront), try some freshly prepared fish dishes in several restaurants available on the island and above all – enjoy the honey-sweet detachment from the modern hustle.